Vougeot, one of the most emblematic and celebrated names within the Côte d’Or region of Burgundy in eastern France, is a study of contrasts. Vougeot is at once the smallest commune in Burgundy and home to the largest Clos (walled vineyard) in the Côte d’Or, the world-famous Clos de Vougeot. 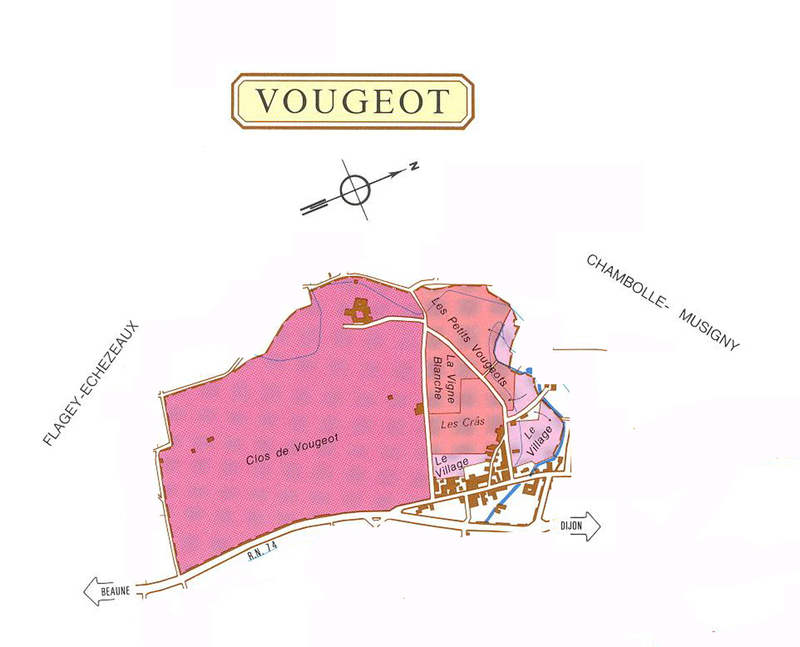 Vougeot boasts 50.59 hectares of Grand Cru vines out of a total of only 67.18 hectares. It is a small village of only 200 inhabitants, and yet has occupied a singular and pivotal role in the history of Burgundy and continues to wield an influence far exceeding its modest size. Vougeot was first settled by reformist monks of Citeaux in the 12th Century, refugees from their Benedictine brethren at Cluny, whom the Cistercians (as they came to be called) accused of betraying the precepts of St. Benedict and falling into profligacy and even debauchery. The Cistercians sought out a purer and more contemplative (ora et labora) monastic path.. To the everlasting gratitude of aesthetes everywhere – they tended vineyards and made wine as their earthly vocation. While the Romans had first planted vines and made wine in Gaul, it was the Cistercians who perfected viticulture and winemaking into an art form that, as practiced in Burgundy, continues to enchant epicures throughout the world. Vougeot is sandwiched in between Chambolle-Musigny on the north and Flagey-Echezeaux to the south. 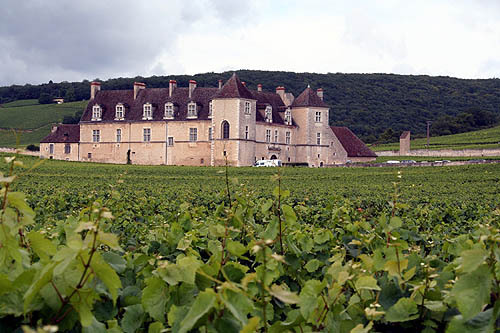 With only 66.02 hectares of vines, Vougeot is quite the smallest commune in the Cote-d’Or, but due largely to the efforts of the Confrérie des Chevaliers du Tastevin, the Château du Clos de Vougeot is itself emblematic of Burgundy and Vougeot is one of the best known names in the wine world. The appellation of Vougeot is clearly dominated by the Grand Cru Clos de Vougeot, which, at 50.59 hectares, comprises over 75% of the vineyards, of which there are over 80 different owners. Within Vougeot, there are also 11.68 hectares of Premier Cru vinyards: Les Cras, Les Petits Vougeots and Clos Blanc de Vougeot. Finally, there are 4.82 hectares of village-level vineyards. Distinguished producers of Vougeot include Domaine de la Vougeraie, Gros Frère et Soeur, Meo-Camuzet, Domaine Leroy and Domaine de Montille.